If we consider California electricity costs, based on the U.S. average for household electrical usage, the common household in Walnut Creek spends about $135 per month on their electricity expenses. If you have a swimming pool, lots of electronics or a large household, your bill is usually bigger. Solar power alters all of that! Examining a yearly average, some property owners are even able to slash their total expenses to zero. That’s the monetary advantage of getting your power from solar. In addition to saving you money from day 1, buying solar is the best thing to do for the environment! As solar electricity creates power without burning fossil fuels, it is most certainly the path of the future. So it is the best thing to do for your wallet, family, planet and future! How else can Solaron make solar less expensive? Through ongoing incentive programs offered by municipalities and governments! 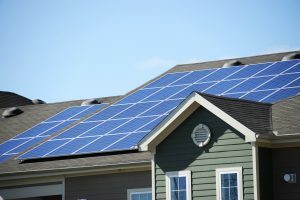 As these vary based on your exact address and electricity company, consult with a Solaron sales rep today to learn about these potentially large savings!